Okay okay... maybe not world's best... yet... but it will be. I'm confident that if you try this you will love it :) If not, well, then I was wrong... but I'm not... you will love this! In another life, I was into cake decorating. 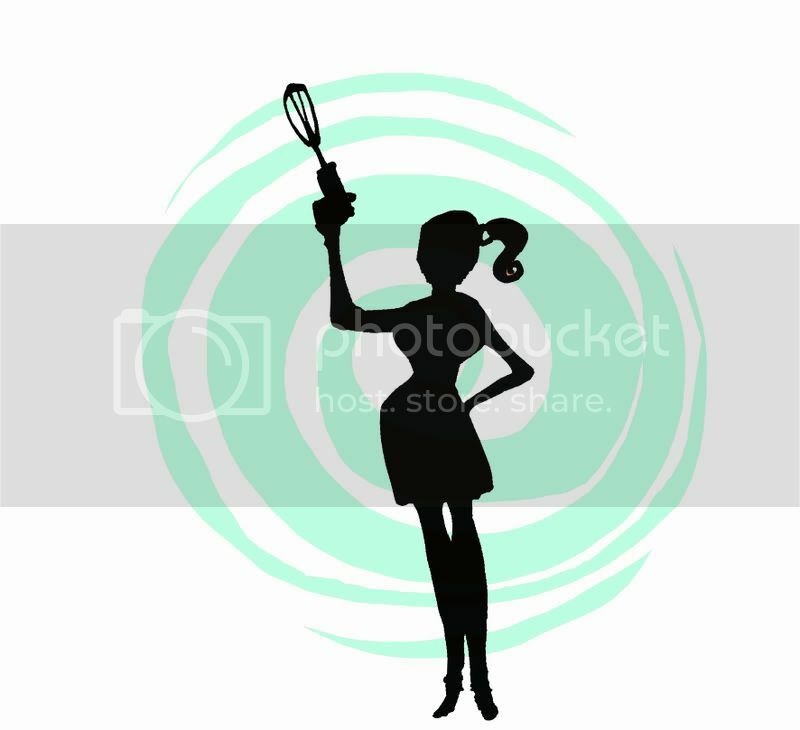 I got into it by taking Wilton cake decorating classes thru the parks & recreation system. The classes were one weeknight each week at the High School down the street. We had full kitchen facilities though we never *baked* the cakes in class. 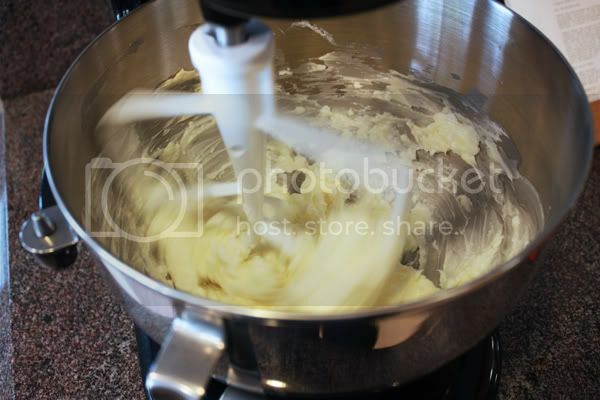 Cream the butter and shortening in the bowl of an electric or stand mixer. 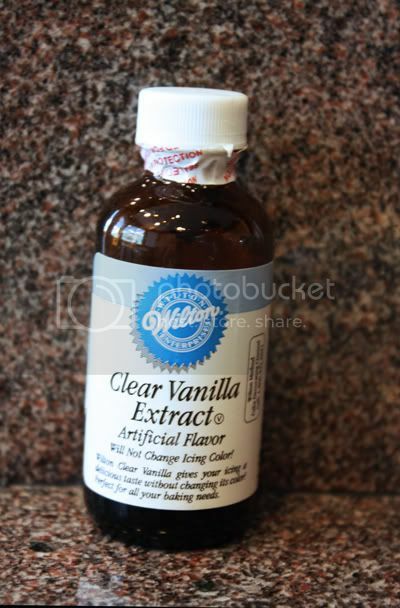 Add the clear vanilla extract and combine well. 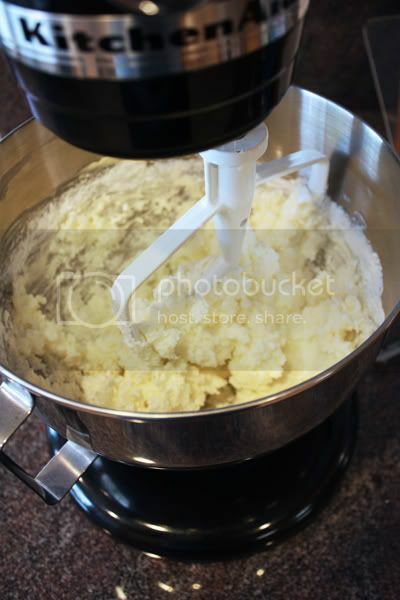 Begin adding in the sugar and mixing thoroughly after each addition. 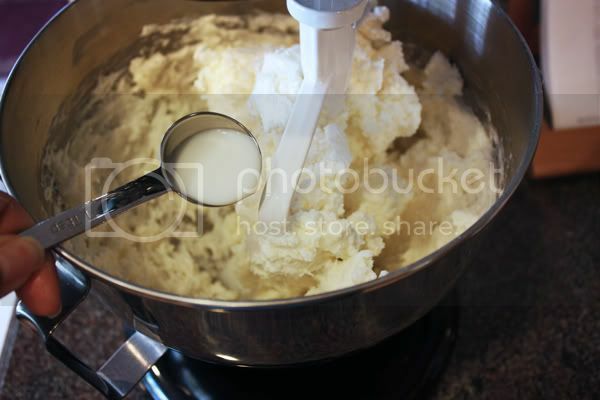 After all of the sugar has been added and mixed thoroughly, begin adding the very cold milk... one tablespoon at a time, combining very well after each addition (mixer on medium-high to high speed) until you reach the desired consistency. 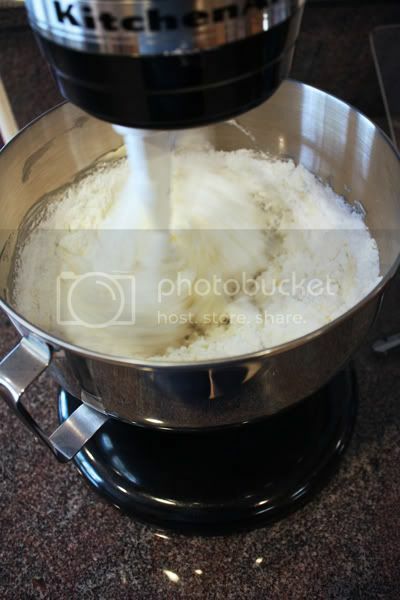 ... finish adding in all of the confectioners sugar and mix very well... I love this shot because you can see the paddle attachment just flying! 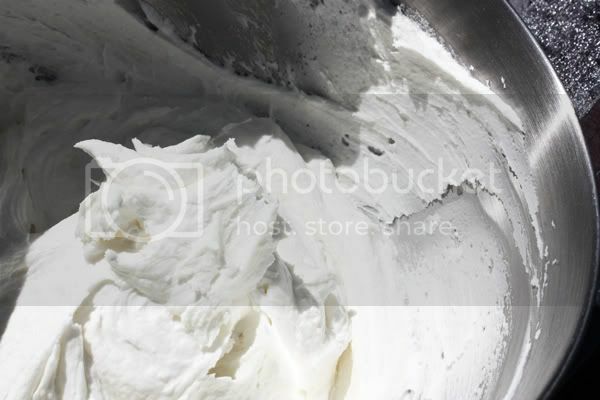 ... but sometimes you decide you want to add all 6 tablespoons of milk and if so this is what your buttercream will look like... it's light... it's fluffy... and best of all it tastes terrific. The important thing is to work slowly when adding the milk. 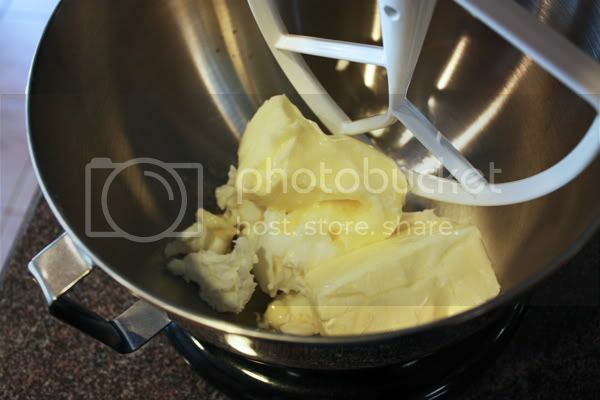 You can always add more... but you can't take it away if you add too much and the icing is too thin. 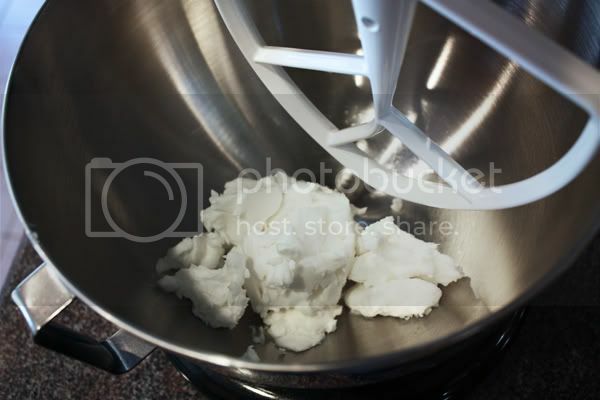 You want it to be thick enough to set up well... but you don't want it so thick that you can't pipe it out of a pastry bag or spread it with a spatula. 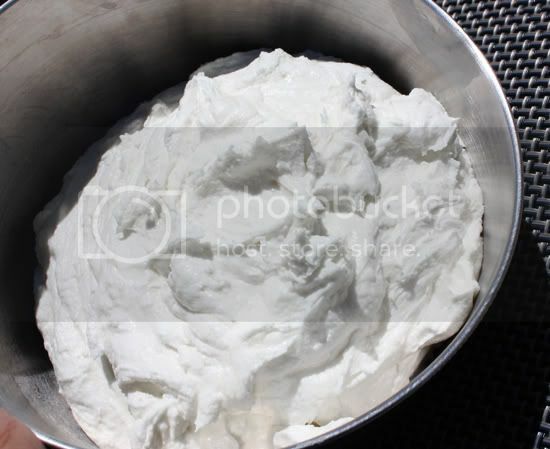 Yes, this recipe does make quite a bit but keep in mind you can refrigerate the icing in a covered bowl. 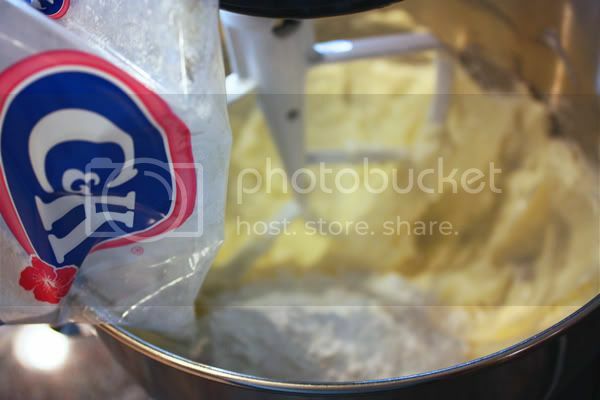 I usually make a whole batch of it, transfer to a large mason-style jar and just leave it in the fridge. 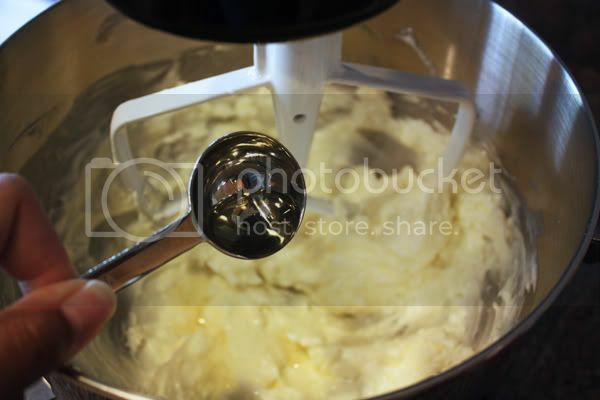 When I need to use it, I just take it out, bring it to room temperature and give it some mixing by hand. I hope you found this tutorial helpful. 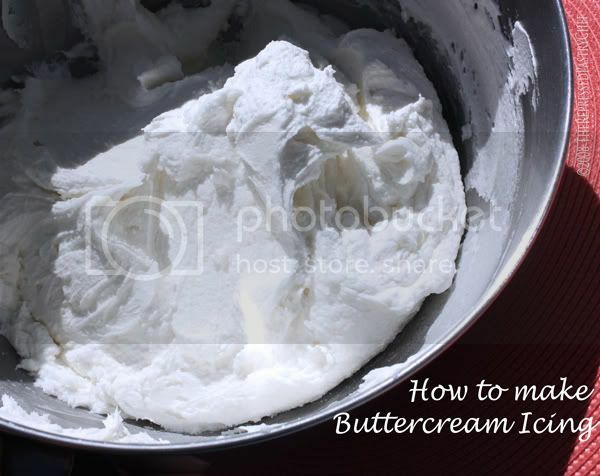 If you need to make buttercream, I urge you to try this recipe. Honestly, it's the absolute best I have ever found. 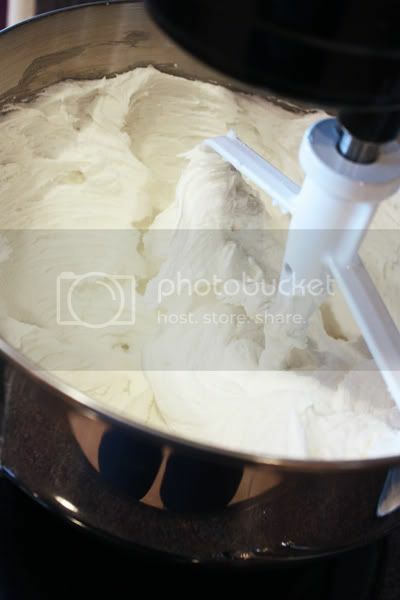 Heck, even if you don't NEED to, you might just WANT to... and now that you have all this fantastic buttercream icing, you'll need some cupcakes or a cake to use it on, right? Right. Why not try the recipe I posted here for tropical cupcakes (just use the basic cupcake recipe) or the one I posted here for Dorie Greenspan's Perfect Party Cake (just make the basic cake recipe). ... and proud of it! 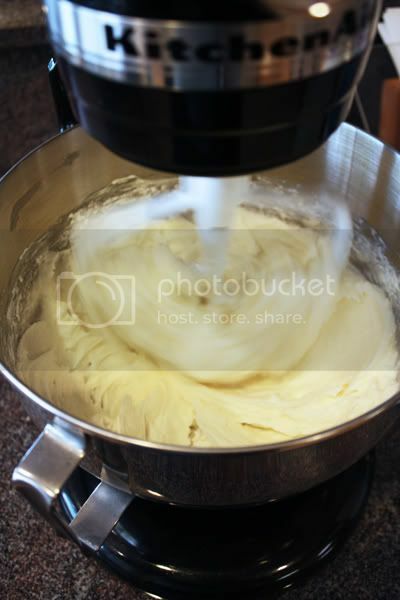 Lemon Cupcakes + Cream Cheese Icing = ooooh yeah! Get the Lost Spoilers widget and many other great free widgets at Widgetbox!